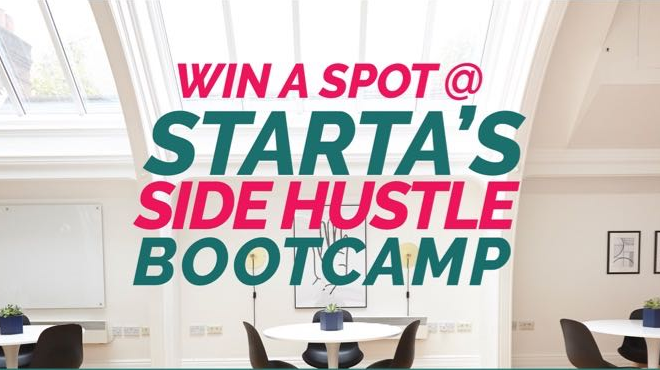 BellaNaija will be sponsoring one lucky entrepreneur to Starta‘s highly anticipated Side Hustle Bootcamp and you just might be the one; if only you enter the competition. Starta is a business support platform for start-ups and SME entrepreneurs in Africa. 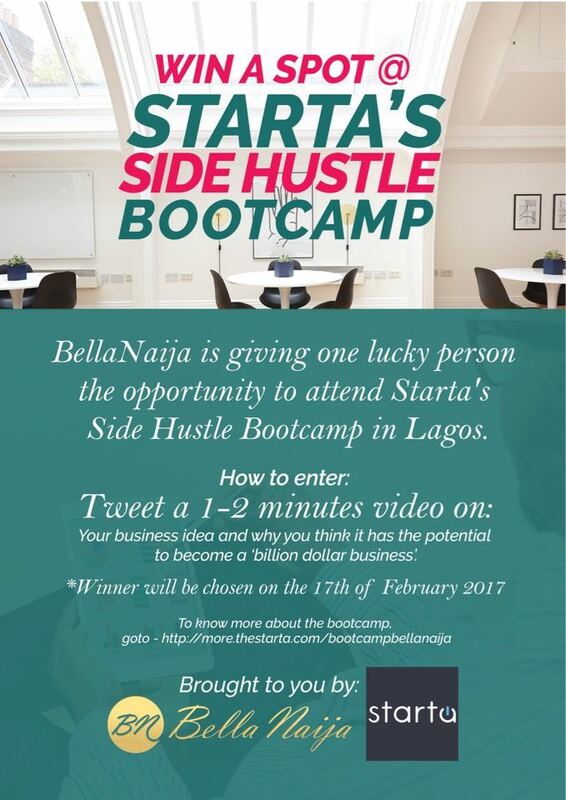 With the launch of the Side Hustle Bootcamp it hopes to help 100 entrepreneurs launch, scale and fund their businesses in 2017. The entrepreneurs will intensively and practically learn how to ideate, start, launch and get funding for their tech-enabled businesses. The competition will end by 8am on Monday, February 13th 2017 and the winner will be announced on Friday, February 17th 2017. The Bootcamp will take place between February 24 – 26, 2017 at the Sinet Hub, 32 Providence Street, Lekki Phase 1, Lagos-.Nigeria. The programme begins Friday 6:00pm and ends Sunday at 1:00pm. More information on the Bootcamp can be found here.